Senator Nicholson was referring to the recent ruling by CCJ on the Shanique Myrie case. A Guide Document outlining matters relating to free movement under the CARICOM Single Market and Economy (CSME) regime, is currently being drafted for immigration officers. This was disclosed by Minister of Foreign Affairs and Foreign Trade, Senator the Hon. A.J. Nicholson, as he piloted a Bill to amend the Caribbean Community (Free Movement of Skilled Persons) Act, in the Senate on October 18. The Minister noted that the document is being prepared by the CARICOM Secretariat and speaks specifically to free movement of skilled nationals, and allowing service providers the right to establishment and contingent rights. “The document will comprise all relevant CARICOM decisions on movement which will serve as a general guide. It is however, still a work in progress, but will be guided by the recent Caribbean Court of Justice (CCJ) ruling,” he said. Senator Nicholson was referring to the recent case, which directly relates to the free movement regime, where the CCJ ruled in favour of Jamaican national, Shanique Myrie, declaring that the Barbados government breached her right to enter the country under article 5 of the revised Treaty of Chaguaramas, awarding her damages totalling $3.6 million. Senator Nicholson noted that along with ongoing training of CARICOM immigration officers, the Guide Document should help to standardise the treatment accorded to CARICOM nationals exercising that right of movement under the free movement regime. He informed that there are two regimes governing movement in the CSME as set out in Articles 45 and 46 in the Treaty of Chaguaramas. They are free movement for the purpose of engagement in gainful economic activity; and hassle-free travel/facilitation of travel. “CARICOM member states are required, under Article 46, to establish appropriate legislative, administrative and procedural arrangements to facilitate the movement of skills and to provide for the movement of Community nationals into and within their jurisdictions without harassment or the imposition of impediments. Jamaica has established the necessary framework for both and has been amending its legislation accordingly,” Senator Nicholson explained. 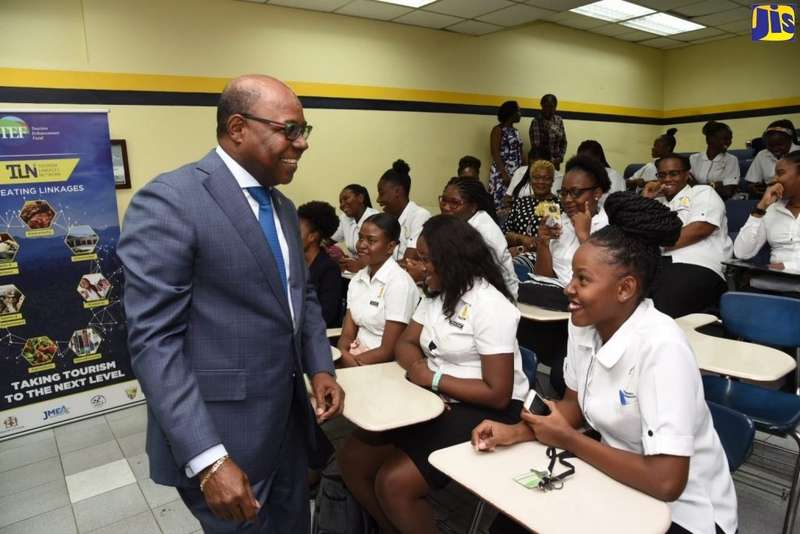 The Minister further urged Jamaicans to inform themselves about the procedures relating to the application for a Skills Certificate and the specific regimes for movement across the region, including the right of establishment and the movement of service providers. He invited the public or persons interested in the free movement regime, the media, civil society and other stakeholders to remain in dialogue with either the Ministry of Foreign Affairs and Foreign Trade or the Ministry of Labour and Social Security about the free movement regime. “I also reiterate that whenever Jamaican nationals believe that their rights under the regime have not been upheld, or if they have received treatment in another CARICOM member state that they consider to be not in accordance with the spirit and letter of the Revised Treaty, then they must make a report to the nearest Jamaican High Commission or Consulate or to the Ministry of Foreign Affairs and Foreign Trade,” the Senator advised. In the meantime, Mr. Nicholson informed that the CARICOM-wide complaints procedure is almost finalised. “Jamaica participated actively in these discussions. The idea is to streamline the reporting across the region to be able to effectively deal with the various complaints. This should, hopefully, be implemented in the near future,” he said. The Bill to amend the Caribbean Community (Free Movement of Skilled Persons) (Amendment) Act, seeks to, among other things, broaden the categories of skilled nationals able to access jobs in regional countries.